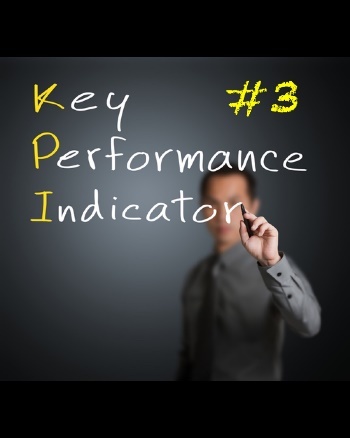 This is the third installment in a Project Management series on key project performance indicators used to monitor and evaluate a project’s health and wellness. The third KPPI focuses on scope awareness and clarity. Project scope is often set by considering various boundaries such as cost, organizational impact and time lines. Arriving at the final definition of project scope requires a negotiation and compromise within at least one of these areas. Final scope may look somewhat different than initially conceived when all the boundaries are considered. KPPI #3 deals with the clarity of scope within the organization. You may find that the executive description and understanding of scope is quite different then the definition understood by the business community. The best way to measure the clarity of scope is to consider how much time and effort is spent defending project scope. The Requirements and Solution Design phases will push the boundaries of scope the hardest and this will be the time when a Project Manager will see the true clarity of scope within the organization. An example of this might be that the business community assumed that business processes were going to be re-engineered, but executive management had assumed process replication. The major differences between these two approaches become apparent in the amount of time needed to analyze processes and define future state. The time allocated for re-engineering will be significantly greater and if the scope was to replicate, then the project timelines will begin to slip as the business analyzes ways to become more efficient and the impact of change extends across multiple departments. Both approaches are “right”, but only one has been approved as part of the project charter. There will need to be compromises and a reset of expectations in order to keep the project on track. If scope is unclear or there are major differences between assumed and approved scope, then executive involvement will be needed in order to shift the scope paradigm through-out the organization. Notice that the initial symptom of this issue was the slipping of project timelines (KPPI #1), and through careful analysis the issue of scope clarity was identified. It’s up to the project management team to see the big picture and keep an open and analytical mind when determining root cause analysis and corrective actions.